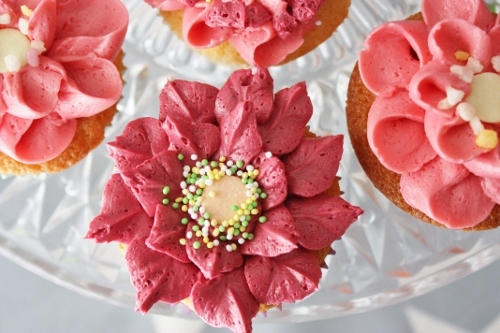 I long for spring and to work in the garden taking care of my plants, flowers, fruit trees, planting vegetables, but until then I’ll bake cupcakes and pipe some flowers on them. 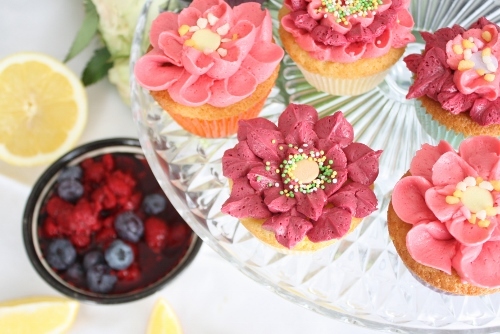 These cakes are flavored with fresh lemon and the butter cream is flavored and colored with natural berry juices. 3 teaspoons baking powderCream butter and sugar togeter and add the lemon zest and juice, continue to mix, then add the eggs one by one. Mix flour and baking powder in a bowl and sift it into the butter mixture on medium speed until it is all well mixeed. Do not mix the flour to long, you want an airy cake and not chewy. Mixing the flour to long binds the protein in the wheat. 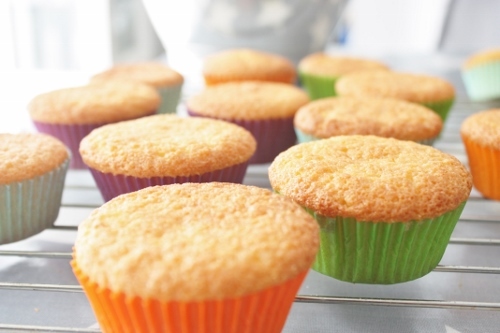 Fill the cup cake cups and bake the in the middle of the oven for about 15 minutes. 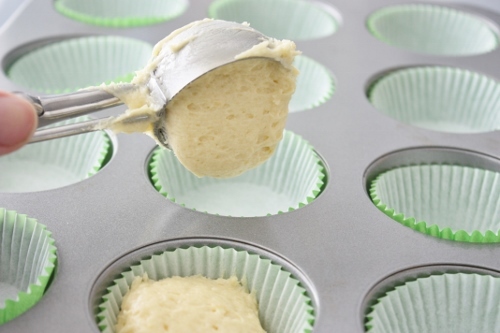 Using a scoop gives uniformed sized cakes. For the bllubery frosting do the same as above. I liked the rasberry frosting the best, you could really taste the rasberry flavour, the bluebery juice did not give much flavour, but it gave the frosting a nice color. 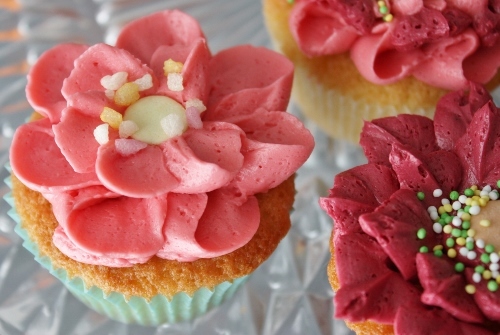 I used a leaf and petal tip to pipe the frosting on the cup cakes.